The list below is the African American Alexandrians with the “I -J surnames. Jackson, Andrew – born ?? Johnson, Calvin – born ? 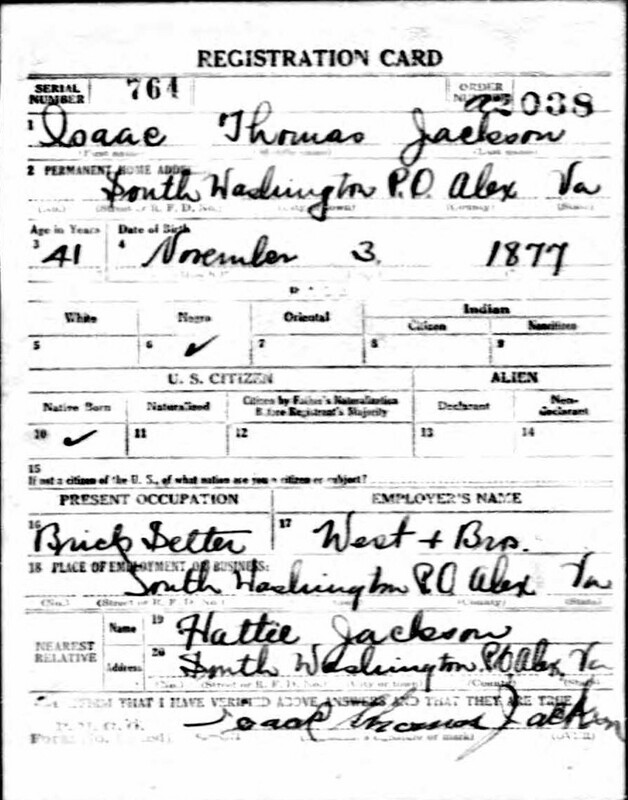 This entry was posted in Black People of Alexandria and tagged Alexandria Black Military, Alexandria Black WWI, City of Alexandria VA. Bookmark the permalink. Char, great job on this article. I am looking forward to future articles. I will. Share this one with Spanish Grove (rather Kyra will share it).